« Thorough takedown of the supposed connection between Darwin and Nazism. 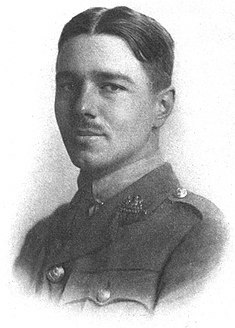 In high school, I gave a presentation on the poetry of Wilfred Owen (1893-1918) about the First World War. His most famous poem, and one that I still think of often, especially at this time of year, is Dulce et Decorum Est. The poem was published posthumously, as Owen died in combat in France at the age of 25. 1 comment to Dulce et Decorum Est. Wilfred Owen is the best.I like all his poems,but if I had to chose I would go with Anthem for doomed youth.Every time I read it,makes me wonder if we know the value of the persons around us.